Ordering a massage at home in Pleasant Hill is now easy with Zeel. Book your Pleasant Hill massage from Zeel for same-day, in-home massage service. A massage therapist will come to your Pleasant Hill home, hotel, or office in as little as an hour, or schedule in advance. Relax and recuperate with a spa-quality massage in the comfort of your Pleasant Hill home. There are over 9,000 massage therapists in the Zeel network nationwide. Here are a few that are available for in-home massages in Pleasant Hill. 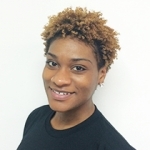 Certified massage therapist Torreyanna has been practicing massage for over 10 years. After graduating from the School of Healing Arts in 1998, she honed her skills in both spa and clinical settings. Torreyanna is trained a wide range of massage modalities, including Swedish, deep tissue massage, tui na, shiatsu, acupressure, and more. She combines her knowledge of human anatomy with the best massage techniques to provide a relaxing session for her clients. 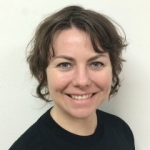 Michelle is a certified massage therapist specializing in deep tissue, hot stone, and Swedish massage. Highly professional, Michelle has worked at a number of top-tier luxury spas, including Burke Wiliams Spa in San Francisco, Regruv'n Spa in Livermore, and Happy Feet Massage in Brentwood. Each massage is tailored to the specific needs and preferences of the client for an effective and relaxing session. 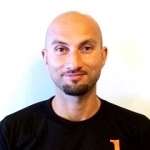 Certified massage therapist Babak is an honors grad of the Emeryville California's National Holistic Institute. His training includes Swedish and Shiatus techniques, a well as more unusual modalities like kinesiology and Jin Shin Jyutsu. Babak's massage is especially healing to those with anxiety and stress disorders. He is a member of the American Massage Therapy Association. Getting a massage in Pleasant Hill, CA just got easier. In this city, Zeel clients can book their own mobile massages with just a few taps on the Zeel Massage app or on Zeel.com. Residents, visitors, and students at Diablo Valley College and John F. Kennedy University can book a Zeel Massage in-home or at work in Pleasant Hill. Spend the day in one of Pleasant Hill’s many parks (Dinosaur Hill? Pleasant Oaks? Paso Nogal? ), shop and dine downtown, then enjoy the convenience and luxury of a Pleasant Hill Massage On-Demand with a Zeel Massage Therapist who arrives at your door in as little as an hour. No need to travel: Zeel brings the best massage in Pleasant Hill, CA right to you. Enjoy the luxury of Zeel 7 days a week, 365 days a year. Schedule in Pleasant Hill for today, or 30 days in advance. Zeel’s expert Pleasant Hill massage therapists are always on call for Swedish massages, deep tissue massages, prenatal massages, or sports massages. Try your very own Pleasant Hill couples massage, or try our back-to-back massages. Treat yourself with the best massage Pleasant Hill offers—book a mobile massage with Zeel today. Zeel provides Swedish massage, deep tissue massage, prenatal massage, sports massage, couples massage, and chair massage in Pleasant Hill.